Mission: To not only raise awareness for the kid’s books that celebrate diversity but to get more of these books into classrooms and libraries. Valarie Budayr of the website Jump Into a Book and Mia Wenjen, creator of the Pragmatic Mom, both children’s reading and play advocates, teamed up in 2014 to create an ambitious and much needed national event celebrating diversity in children’s books. 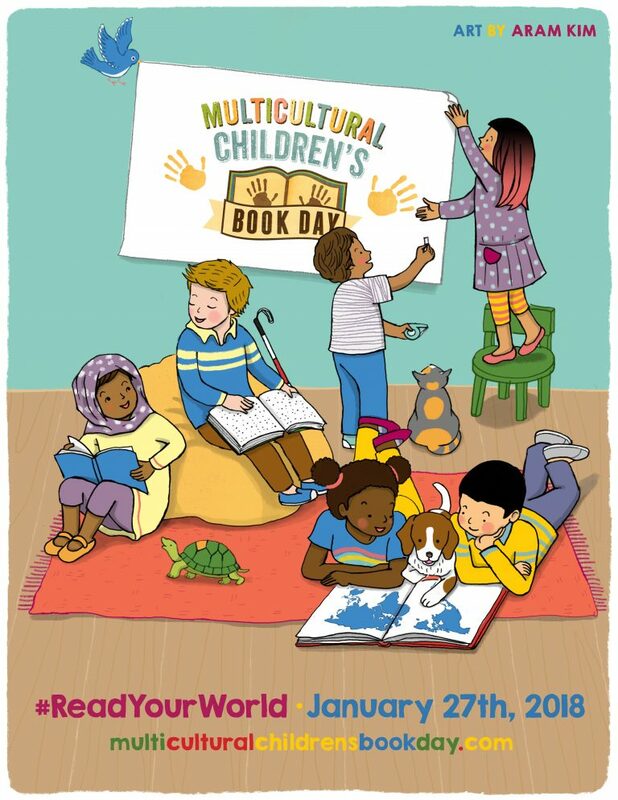 Due to the efforts of both women, January 27, 2018 marks the 5th annual celebration of Multicultural Children’s Book Day (MCCBD). Despite census data that shows 37 percent of the US population consists of people of color, only 10 percent of children’s books published can be identified as addressing diversity. Using the Multicultural Children’s Book Day, Mia and Valarie are on a mission to change all of that. Their mission is to not only raise awareness about the importance of diversity in children’s books but to get more children’s books featuring diverse characters into classrooms and libraries. An additional goal of MCCBD is to create a compilation of books and favorite reads that will provide not only a new reading list, but also serve as a way to highlight brilliant books to families, teachers, and libraries. A number of activities on MCCBD are planned, such as featuring book reviews from noted children’s book bloggers, book giveaways and literary activities for young readers of all ages. Not to mention, a national discussion about children’s books. To further the national dialogue on increasing the publication of children’s books featuring diversity, Scholastic Reading Clubs is sponsoring a MCCBD Twitter party on January 27, 9-10 p.m. EST. Under the hashtag, #ReadYourWorld, hosts, Mia and Valarie will facilitate an hour-long discussion of the state of children’s book publishing as they give away bundles of diversity books every six minutes. “Our young readers need to see themselves within the pages of a book and experience other cultures, languages, traditions and religions within the pages of a book. We encourage readers, parents, teachers, caregivers and librarians to follow along the fun book reviews, author visits, event details, multicultural children’s book linky and via our hashtag #ReadYourWorld on Twitter and other social media.” ~Valarie Budayr & Mia Wenjen.